My kids love going to the beach. We are lucky enough to be within about an hour drive and take advantage of the mid-week beach lull in the summertime. 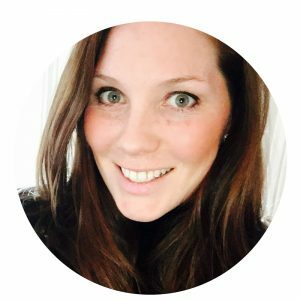 I like to throw a couple extra goodies in the beach bag to make something crafty or fun AT the beach! 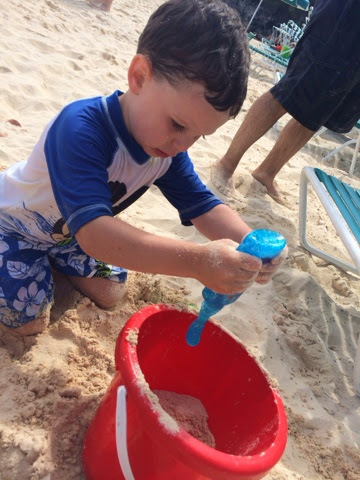 Sandcastles can actually get old after a while if you ask me… This sand slime was a ton of fun to make, and quite easy to pack for. 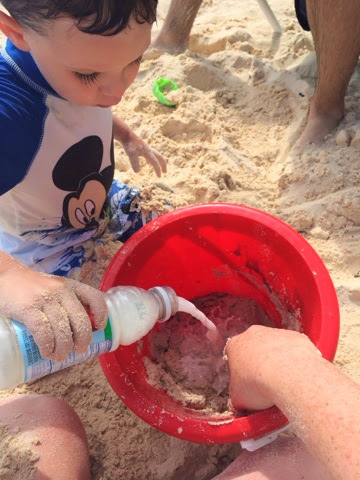 We love making slime at home so this was fun for the kids to bring to the beach, according to them just about everything is better with sand! 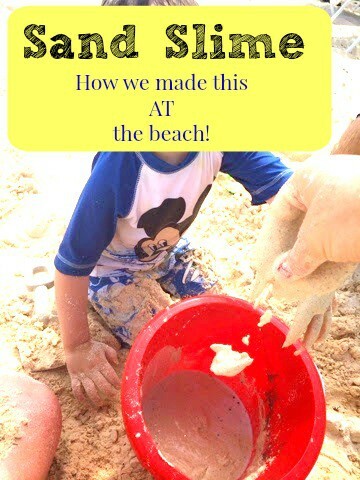 How to Make Sand Slime AT the Beach! 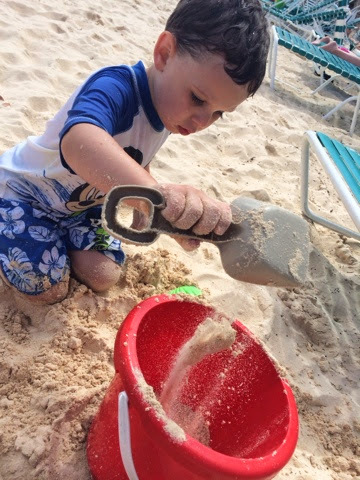 Start with about a cup of sand in a bucket. 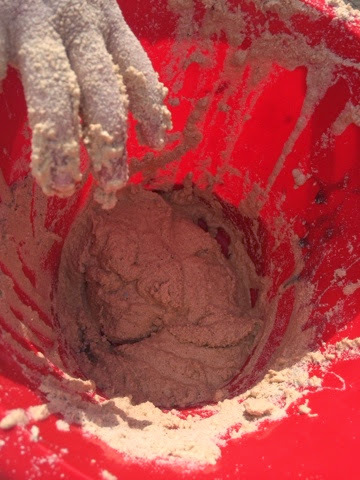 M got a little heavy handed when scooping the sand so our slime wasn’t quite as goopy as it usually is. To that, add a bottle of glue, we chose the glue with glitter in it to give our slime an extra sparkle. Then add about a cup of cornstarch mixed with water! You can prep this at home using hot water to really dissolve the cornstarch, or mix it with ocean water, really shaking vigorously. Mix it all together and you have slime! 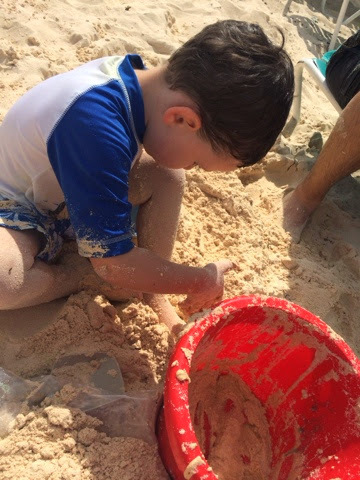 Sensory play is so much fun anywhere! 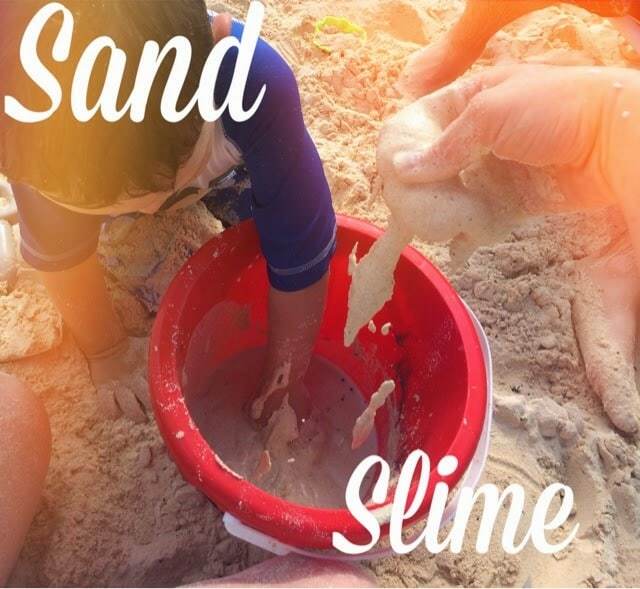 My kids especially enjoyed the feeling of slime on their toes, that’s not a typical way we play with slime at home! Note: You will want to bring a ziplock bag with you to put the slime in to take home with you when done. Enjoy giving some sand slime at the beach a go – let me know what your kids think!